A new year is like a fresh sheet of watercolour paper. Throw the first brush stroke on and you never know what you'll end up with!Just like life, when I let go of trying to control everything and work with what is already happening, my paintings flow more gracefully and even though the results are less predictable, they are often better than I could have planned for myself. 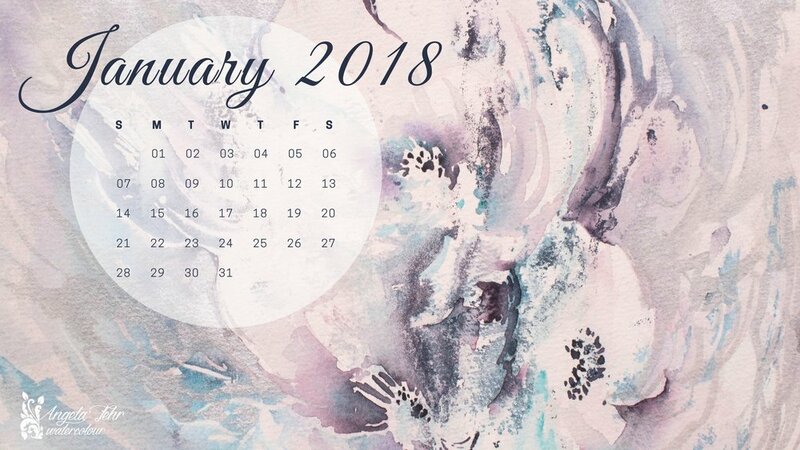 Wishing you a January of fresh beginnings with this calendar image you can print or use as wallpaper. It coordinates with my 2018 watercolour calendar, available here. To download this digital image, right-click on the image and choose "Save Link As," then save to your computer.